– Features: Wide Angle lens can shoot larger range of scenery. – Note: When shooting pictures, it is suggested that the Wide Angle Lens be used in a wide-open area in order to get better photos. 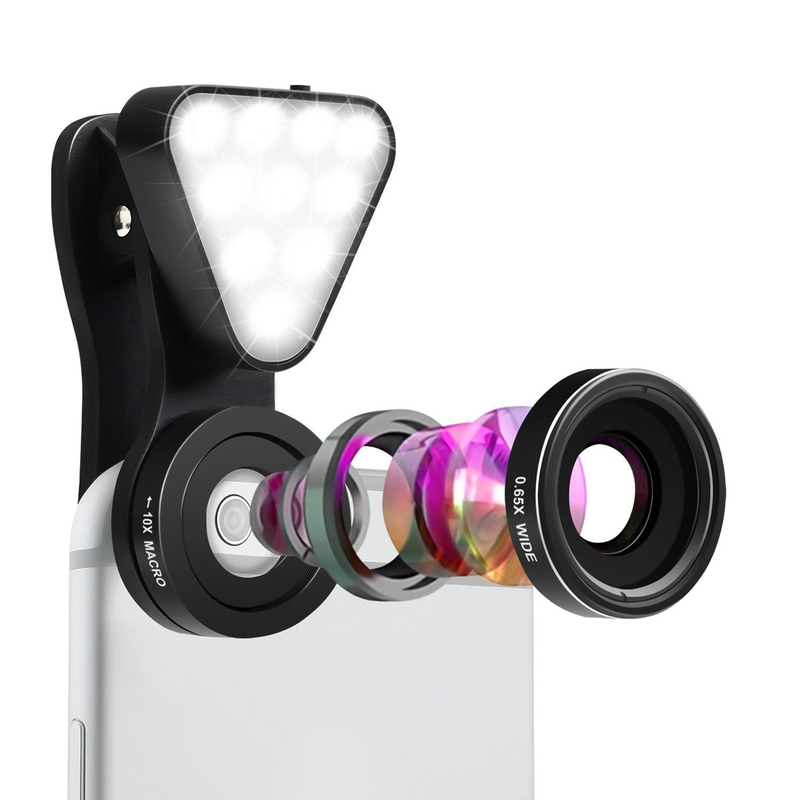 – Features: Macro lens can take clear photos of small objects. – Note: The macro lens can be used separately, suggest keeping 1-2cm distance from your object to take more clear pictures. – Note: Please turn off the flash light by pressing 4 times (low-medium-high-turn off).